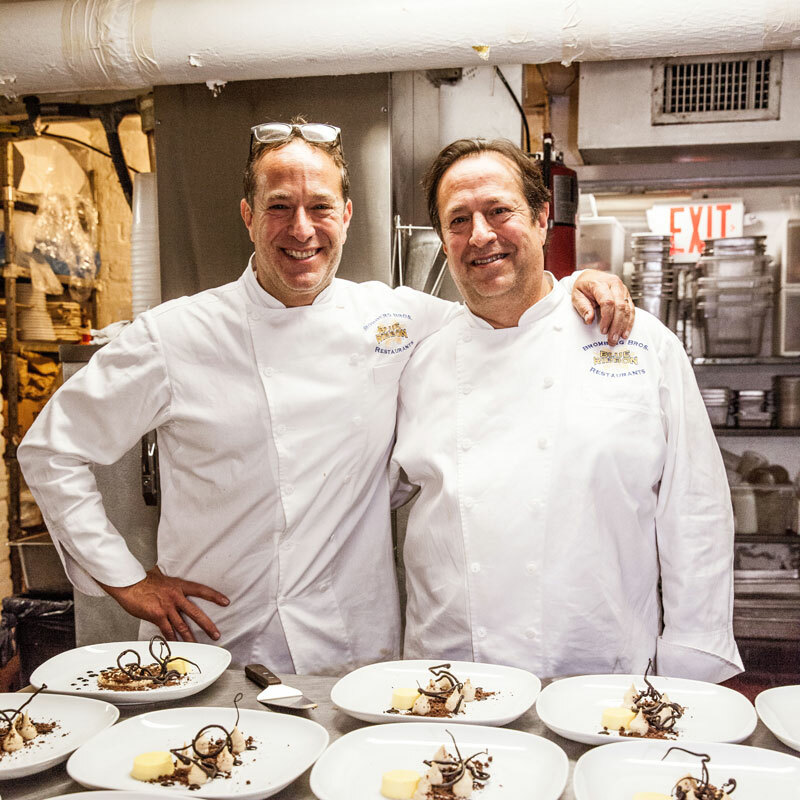 Bruce and Eric Bromberg have been guiding forces in the culinary world for over 20 years. Family trips to the South of France fostered the Brothers’ appreciation for French cuisine, which blossomed in their studies at Le Cordon Bleu in Paris. This was only the beginning of the Brombergs’ culinary journey, which later brought them to some of the most talked about American kitchens. Together they seamlessly melded their French expertise with their American roots to create the original Blue Ribbon in 1992. Here they served what they liked to eat in a room they wanted to be in. The industry soon followed and Blue Ribbon became the place for chefs, restaurateurs and loads of happy guests. The Bromberg Brothers own and operate Blue Ribbon Restaurants with a range of cuisines from sushi to fine dining to fried chicken in New York City, Los Angeles, Las Vegas, and South Beach.